Bayside buyers and vendors can now meet face-to-face with Diana Dugan without leaving home, after the Beaumaris real estate director launched the country’s first augmented reality property website. When you log onto www.dianaduganproperty.com.au Diana, the company director, is smiling back at you from her North Concourse Beaumaris virtual office, ready to lead you through the website with voice recognition technology. You can ask Diana to show you the properties currently on the market, request an appraisal on your home or seek more information on the company. You can even meet, hear from and contact every member of the Diana Dugan Property team. “We are at the forefront of interacting with our consumers by offering augmented reality and voice recognition technology,” Ms Dugan said. “Diana is the ‘avatar’ or storyteller that personally guides you through the website and she immediately puts the human face to the name. “Our clients truly get to know who they are dealing with and this is achieved immediately through the website with consumers able to interact with their computer in their natural language. After going live just a few short weeks ago, feedback from real estate consumers has been strong with many enjoying that the online office is available 24/7. “The feedback has been overwhelmingly positive with users reporting that the online Diana was approachable and endearing and they left the site with a high level of trust and confidence that they would be followed up promptly,” Ms Dugan said. The new website is the first step in a four-phase technological expansion plan Diana Dugan Property will roll out over the coming years, including virtual reality offices. Ms Dugan said she had been working on the plan for two years and said technology offered an opportunity to bring agents and consumers closer together. “I don’t think consumers want to look through tens of local agencies to find a property when they are already advertised on other internet portals,” she said. “I saw a gap in the market and felt real estate companies were doubling up on advertising their properties for sale and missing out on an opportunity to introduce themselves to clients. “I felt the franchise model was lacking inspiration into the next generation of real estate and the only way to overcome this was to introduce an augmented reality agency. 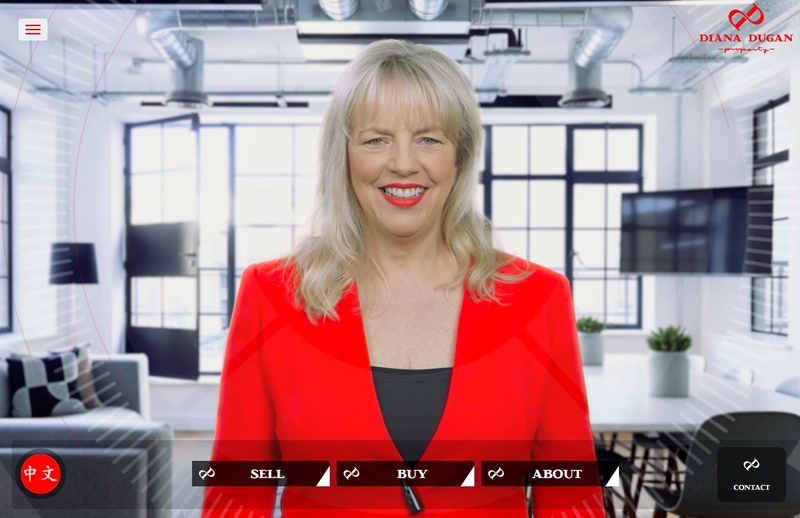 www.dianaduganproperty.com.au with voice recognition technology operates on a Chrome internet browser on a desktop computer and other devices and browsers without voice recognition. It also has a patent pending. Diana Dugan is available for interviews and photographs.